Starbucks’ CEO has apologised for the “reprehensible” arrest of two black men for trespassing while waiting for a friend at the cafe. In an interview on Monday, Kevin Johnson said the Philadelphia branch manager who called police on the two men last week has now left the company. The men were arrested when a manager complained that they had not made a purchase. A Starbucks spokeswoman says the pair have agreed to meet with Mr Johnson. “The circumstances surrounding the incident and the outcome in our store on Thursday were reprehensible… they were wrong,” Mr Johnson told ABC News on Monday morning. “Starbucks stands firmly against discrimination or racial profiling,” he said in the blog post. 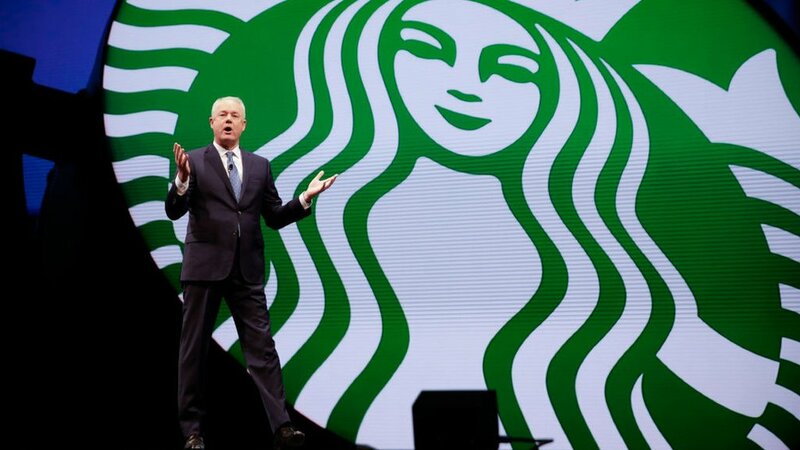 During his interview, Mr Johnson added that it was “completely inappropriate to engage the police”, and that Starbucks would conduct staff training to prevent “unconscious bias”. Both men, who have not been officially named, were released shortly after their arrest, which was captured on mobile phone camera. They have each retained lawyers, according to US media. 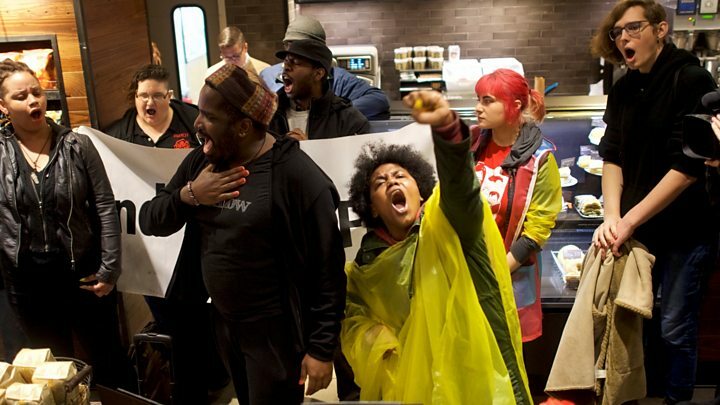 Throughout the weekend, and on Monday, protesters disrupted business at the cafe where the incident occurred. “We don’t want this Starbucks to make any money today. That’s our goal,” Abdul-Aliy Muhammad, one of the protest organisers, told the Associated Press. The American Civil Liberties Union (ACLU) said the Starbucks employee had “terribly disrespected” the two men.